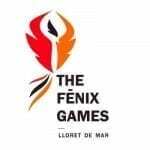 What is The Fēnix Games Lloret de mar? It’s an international fitness competition where teams compete against each other. It will take place between the 9th and 10th September, 2017 in the Mediterranean coastal town of Lloret de Mar. One hundred teams will compete to the best of their ability in order to become the champions in the first edition. • Online classification: Every team will compete in 5 classifying WODS, prepared for 2 categories. • Final Stage: The classified teams will compete in various WODS in different spaces in Lloret de Mar assigned for the event. The registration price is 100€ per team.